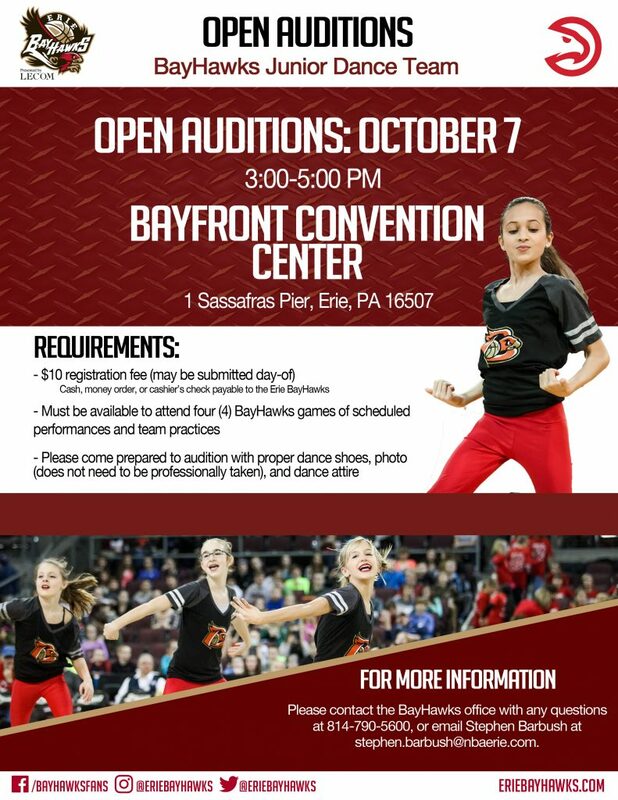 Erie BayHawks Junior Dance Team - Be One of the First! Be one of the BayHawks Junior Dancers! The Erie BayHawks are looking for kids ages 7-13 with high energy who love to perform to join our entertainment team during the 2018-19 season! This is the third season of the BayHawks Junior Dance Team and the dancers were a crowd favorite last season! Don’t miss your chance to be a part of the team! Auditions take place October 7.